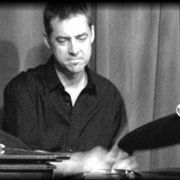 Dan is a professional drummer with extensive experience performing in a variety of styles and musical situations in addition to a strong background in private instruction. Recently, he spent more than 12 years performing in various jazz venues in New York City, including the world-renowned Smoke Jazz and Supper Club. His teaching experience ranges from private lessons to adjunct percussion instructor at Penn Valley Community College and Kansas City Community College. Dan earned his Bachelor of Music Performance at Washburn University in Topeka, Ks. He also has performed in a variety of theater settings and spent four years in the United States Air Force Heartland of America Band.